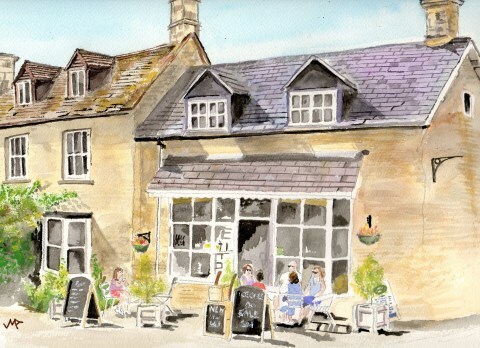 Cafe de la Post is in the heart of Chadlington, positioned at the cross roads in the centre of the village. Whether you are a cyclist, walker, passing through, visiting Chadlington, or just want somewhere to stop for refreshment or more, Cafe de la Post is a welcome haven for all. On Friday evenings the cafe transforms itself into an unusual and slightly quirky restaurant, and on Saturday nights opens for delicious Pizza to eat in or take-away.